Reversible duvet cover, 2 designs in 1! 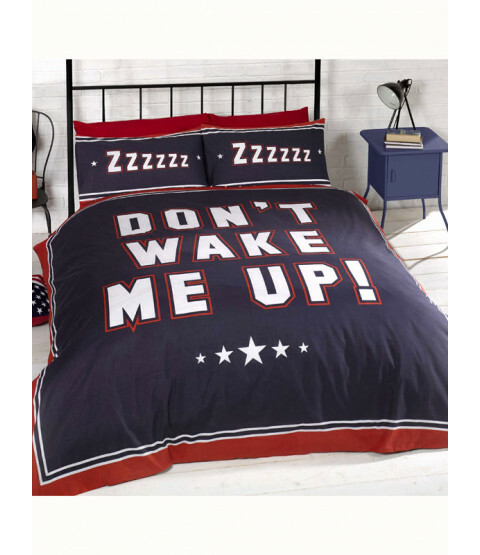 This eye catching Don't Wake Me Up Duvet Cover Set will add a unique and quirky touch to any bedroom. 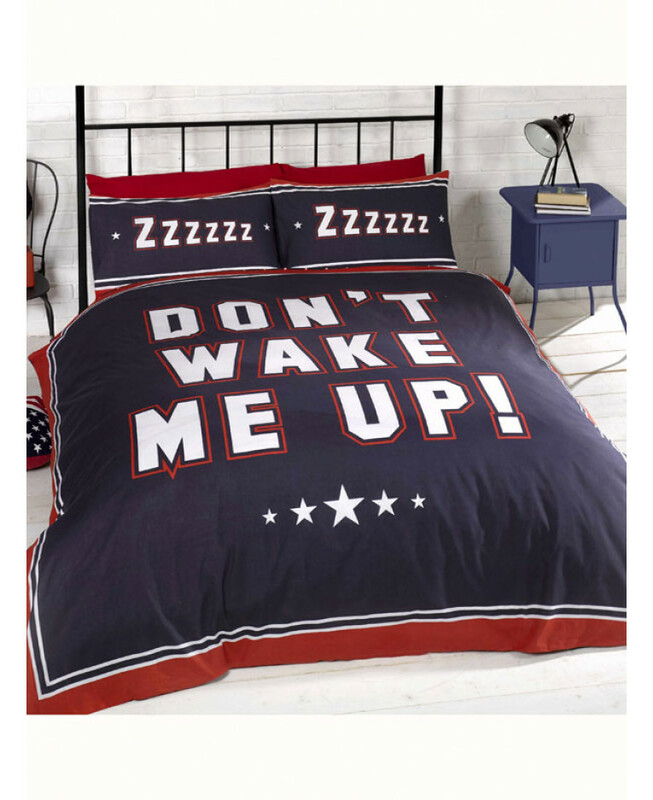 Created by talented British designers, it features the words Don't Wake Me Up in a bold red, white and blue design printed onto soft, easycare fabric. 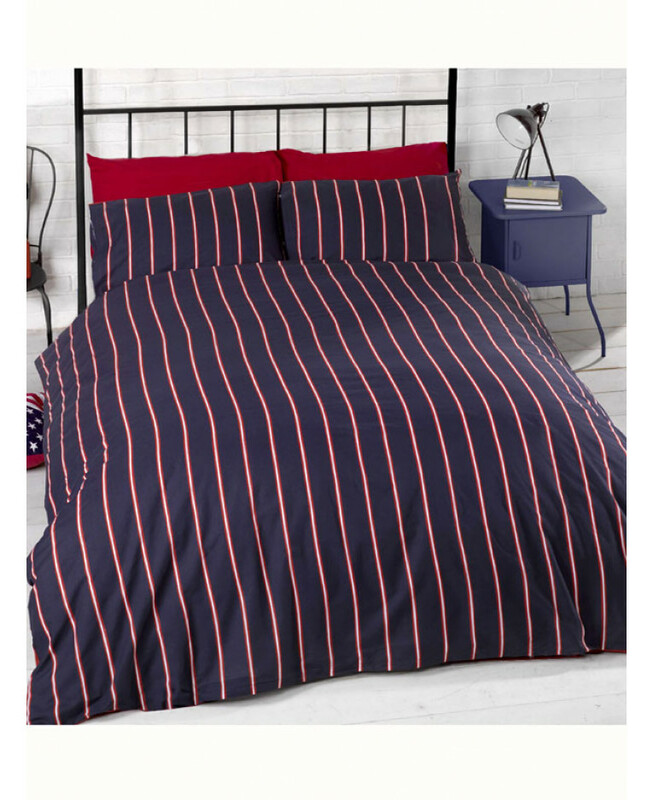 The reverse of the duvet cover has a funky stripe pattern in the same colours, giving you two great designs to choose from. This duvet cover is suitable for machine washing and tumble drying on a low setting.